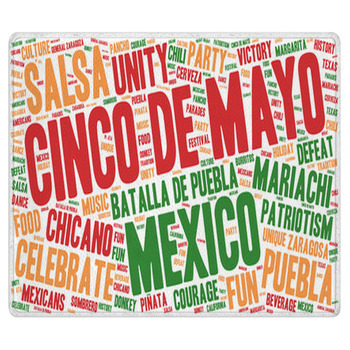 Mexico eats, parties and relaxes like no other place on Earth. 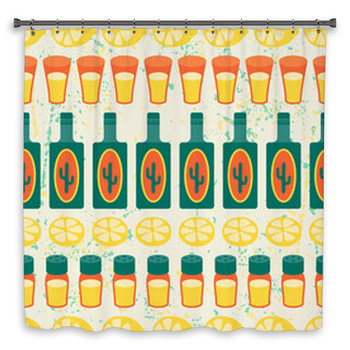 Bring the good times, warm hearts and wild passion of Mexico into your bathroom with our Mexican style bath decor. 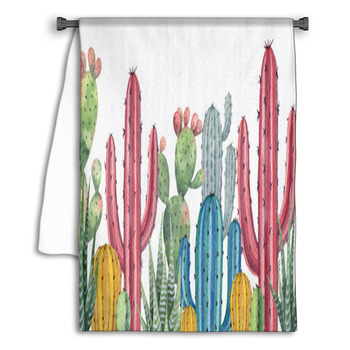 From the tans and browns of the desert to the rich colors of Mexican food, art and clothing, our Mexican style bath decor offers you a variety of color scheme options for your bathroom. 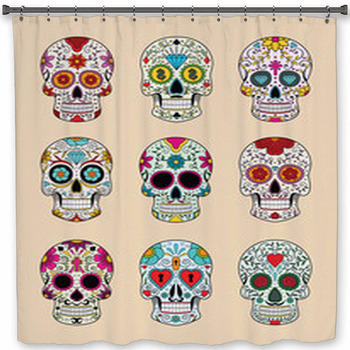 Celebrate the ancient blend of cultures in Mexico with shower curtains that display a Day of the Dead festival design. 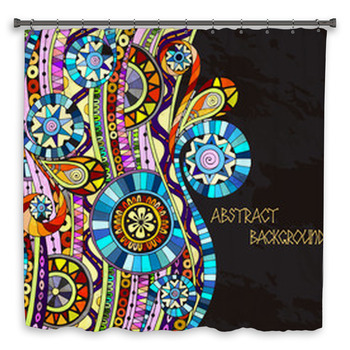 This sacred day inspired by both European and native religions is represented on your shower curtains with a white skull decorated with a golden cross and an orange, green and pink floral pattern. 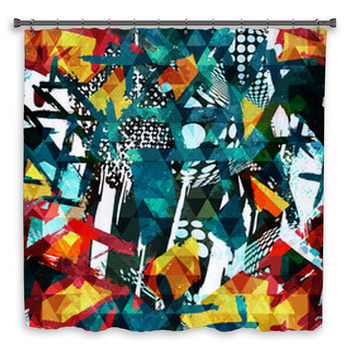 The skull is set amid green leaves and red roses on the streaks of sunlight that radiate over your shower curtains. 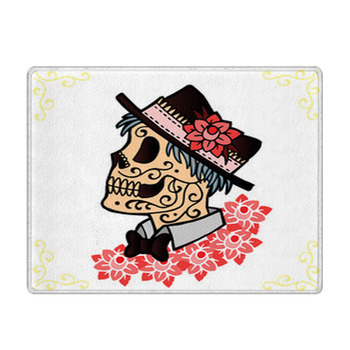 When you get out of the bath tub, you'll imagine you've just bathed in a tropical stream as you step onto your Mexican style bath mat. 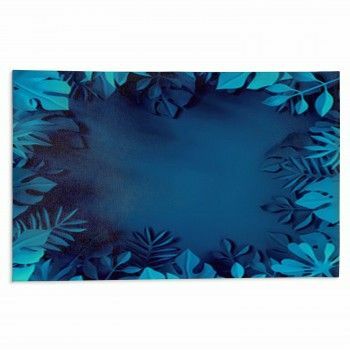 That's because these bath mats feature a photo image of the famous Mayan temple made of gray stones in Mexico's Yucatan state. 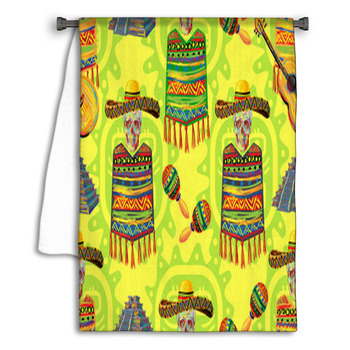 Next, select a few more of your favorite Mexican style images to create a custom set of bath towels and hand towels. 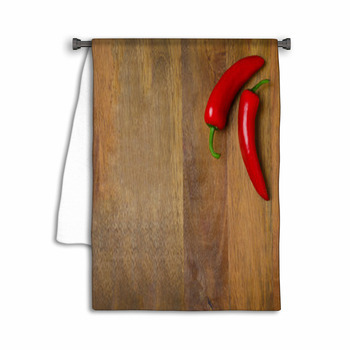 Give your son a bath towel that exhibits a gecko illustrated in the traditional tribal manner, with red swirls running along its black body. 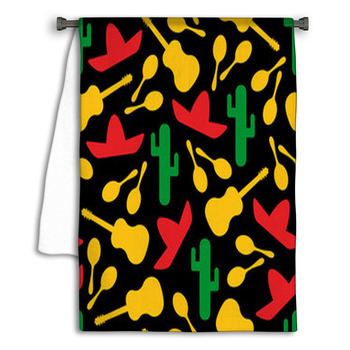 Then give your daughter a hand towel or bath towel that shows a mariachi player in colorful clothing as he plays for a delighted little brown Chihuahua. 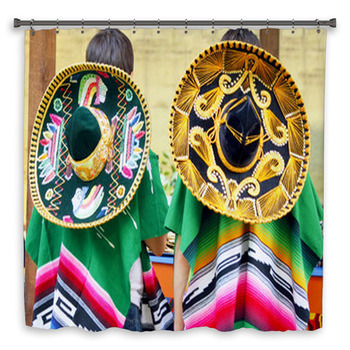 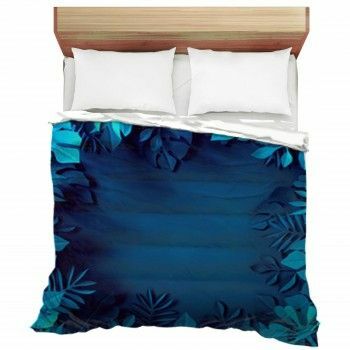 We also have designs for Mexican style bath decor that show animated red and green chili peppers, a cold margarita, an Aztec calendar or an ornate sombrero. 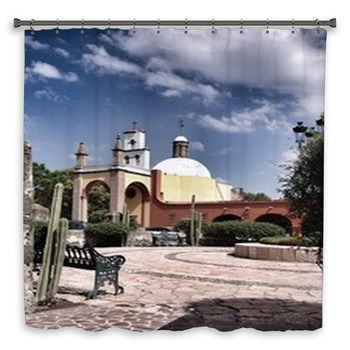 The dynamic nature of Mexico means that you'll need our Mexican style wall murals and wall art to turn your bathroom into an authentic slice of Mexico.